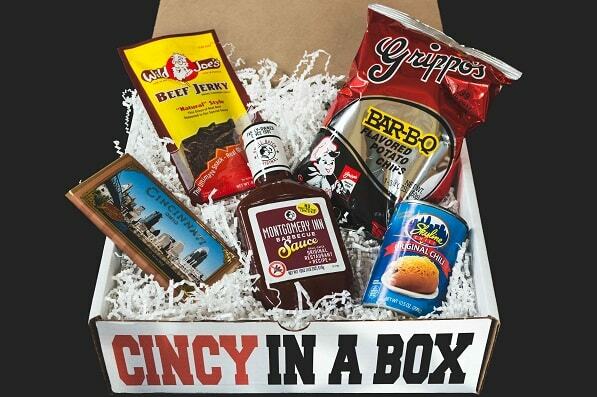 The best Cincinnati Gift Baskets come in a box! Cincy in a Box is the perfect Cincinnati Care Package full of Cincinnati Favorites. Simply select any 5 items below by clicking on the pictures. If you’d like to include a custom message to go with the box, please select the option below. Once you have your box just right, click the Add to Cart button.